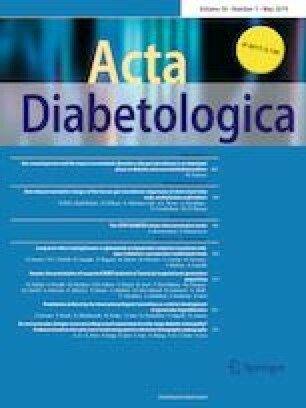 To assess the validity of the 13C-glucose breath test (13C-GBT) to identify insulin resistance (IR) in non-diabetic individuals, using hyperinsulinemic–euglycemic clamps as gold standard. This validity was compared with that of other IR surrogates. Non-diabetic adults were studied in a cross-sectional design. In a first appointment, oral glucose tolerance tests were conducted simultaneously with 13C-GBTs. Oral 75 g glucose dissolved in 150 ml water, followed by 1.5 mg/Kg body weight U-13C-glucose dissolved in 50 ml water, was administered. Breath and blood samples were collected at baseline and at 30-min intervals. The percentages of glucose-oxidized dose at given periods were calculated. Clamps were conducted a week later. A clamp-derived M value ≤ 6.0 mg/kg*min was used as cut-off. ROC curves were constructed for 13C-GBT, fasting insulin, HOMA, and ISI-composite. Thirty-eight subjects completed the study protocol. The correlation coefficient between the 13C-GBT derived glucose-oxidized dose at 180 min and M values was 0.524 (p = 0.001). The optimal value to identify IR with the 13C-GBT was 4.23% (AUC 0.81; 95CI 0.66, 0.96; accuracy 0.82, 95CI 0.66, 0.92). The 13C-GBT sensitivity (0.88) was higher than HOMA and fasting insulin sensitivities (0.83 and 0.75 respectively), while their specificities were comparable (0.71, 0.71, and 0.79, respectively). The sensitivity of ISI-C was higher (0.92) than that of the 13C-GBT, but its specificity was poor (0.36). The accuracy of the 13C-GBT was superior to that of the other studied surrogates. The 13C-GBT is a valid and accurate method to detect IR in non-diabetic adults. Therefore, it is potentially useful in clinical and community settings. This study was supported with grants from: Consejo Nacional de Ciencia y Tecnología (CONACYT): 068915, and from the Instituto Mexicano del Seguro Social: FIS/IMSS/PROT 2007-3603-18. Authors declare that no competing financial interests exist. The protocol was approved by the Ethics Committee of the Instituto Mexicano del Seguro Social and with the 1964 Helsinki declaration (Approval Number: R-2007-3603-18). Informed consent was obtained from all individual participants included in the study before the study protocol initiated.